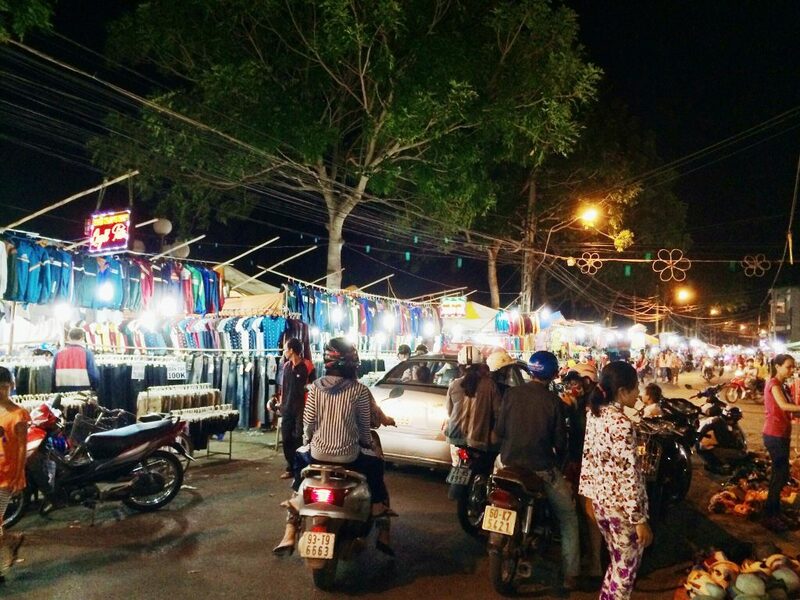 Located on Phan Ngoc Tong Street and Hung Vuong Street in Ben Tre City, Ben Tre night market was first held in 2012 in order to serve the need of shopping, entertaining and cultural exchanging of local and international tourists coming to the “Kingdom of coconut” Ben Tre. Ben Tre night market contains 183 stalls, including 128 stalls of trading products, 11 stalls of foods and 44 stalls of fruits. The market is held from 7pm to 10pm every day. The stalls are put on two sides of 2 main streets in the city centre where gathers a lot of restaurants and hotels, which is very convenient for tourists. You can hire a bicycle to ride around the market. The items sold at the market are very diverse with very reasonable prices. You can buy clothes, souvenirs, local handmade (especially made from coconut tree). Besides, there are many kinds of fresh fruits directly picked from orchards in Ben Tre as well as many stalls of local foods. More than that, lying along poetic Ben Tre River, the night market is an ideal place to sightsee the beauty of Ben Tre at night. You can enjoy a romantic attraction of Ben Tre featured by sparkling lights on the river and lovely bridges crossing the river. Going for a walk along Ben Tre night market is an interesting experience if you have chance to travel this province in Mekong Delta region.